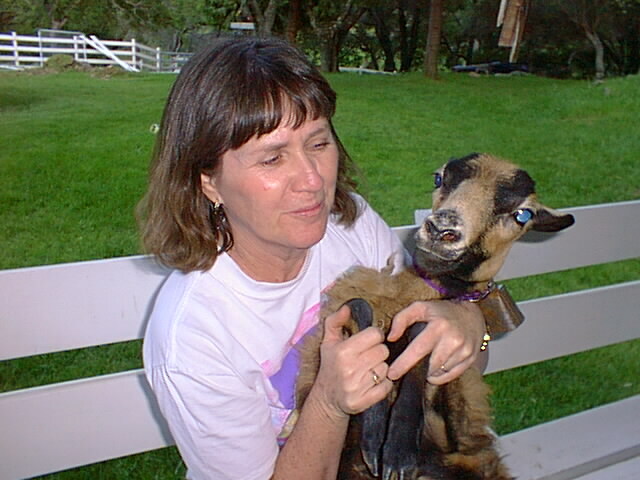 If you click on some pictures that will take you to other pictures. 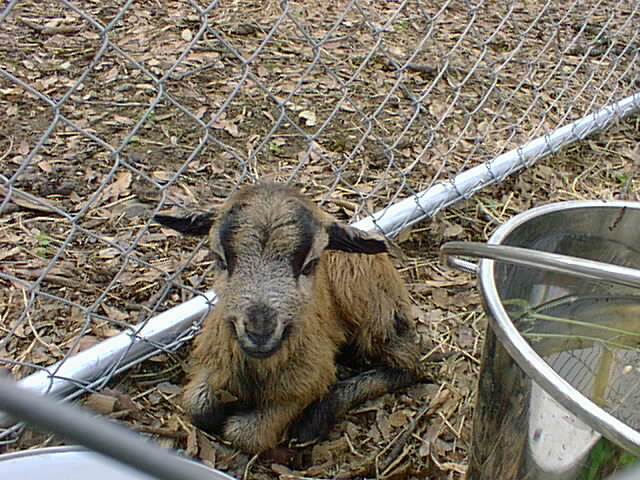 These are some older shots from 2001. 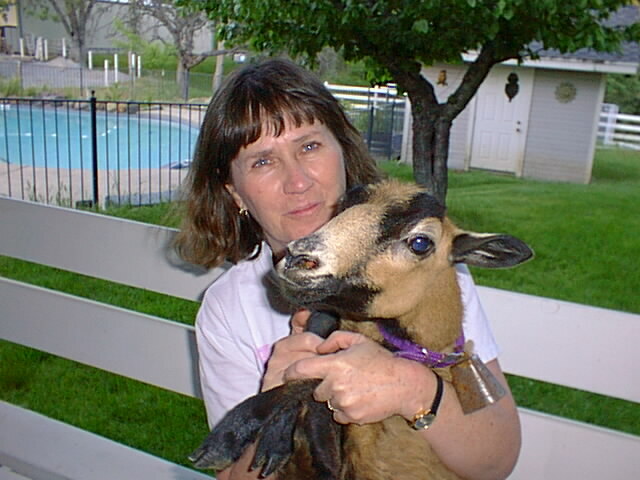 Cathy with our newest baby lamb. 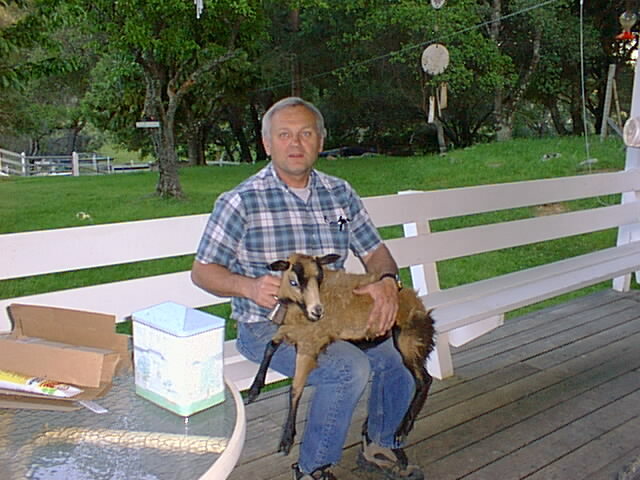 Tinkerbell II is a 6 month old Barbados Ewe(female). 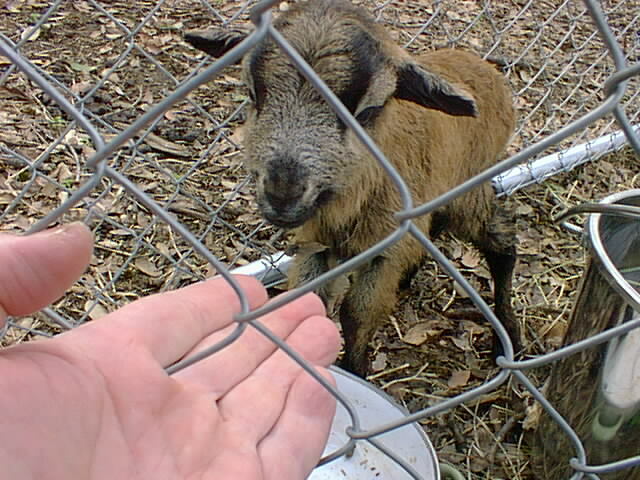 Captain Hook is a one year old Barbados RAM & our first sheep with horns. We expect babies by fall. 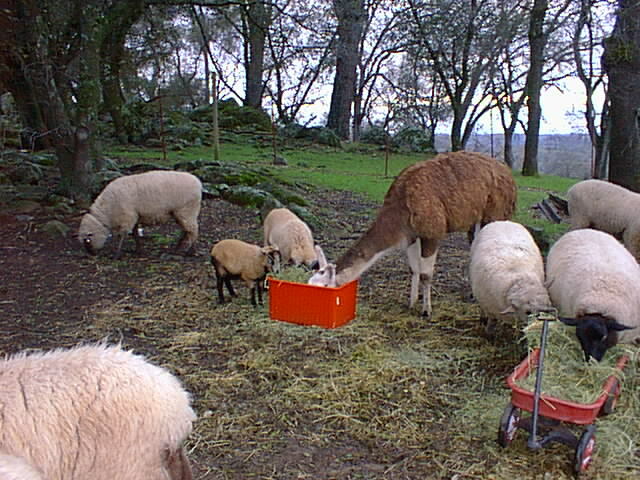 Below Hook & Tinker II appraoch Harry Larry Llama's food. Ears back, head down & making a clocking sound on Harry means keep back this is my grub. They say if that is all you got we are eating. 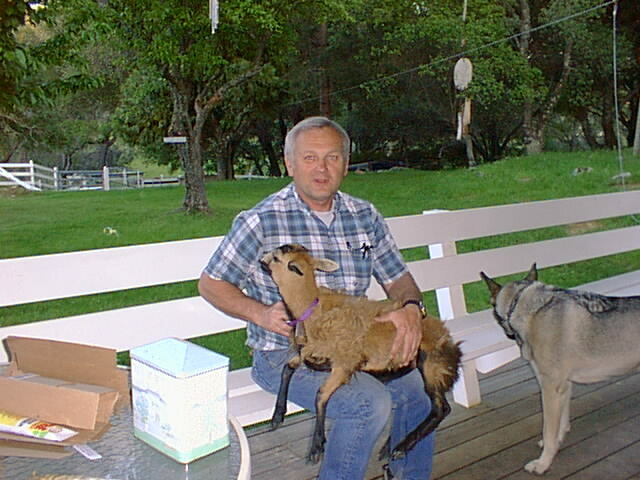 With sheep if you are not big or pushy you eat last. 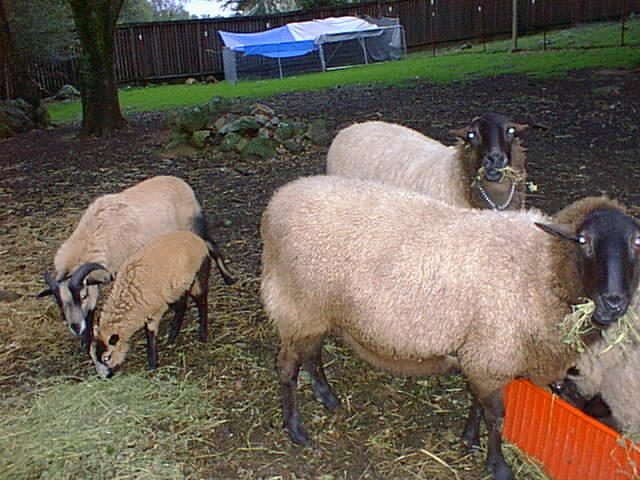 The sheep often push Harry away from his food because he will not push back. Harry will back off when they crowd him. 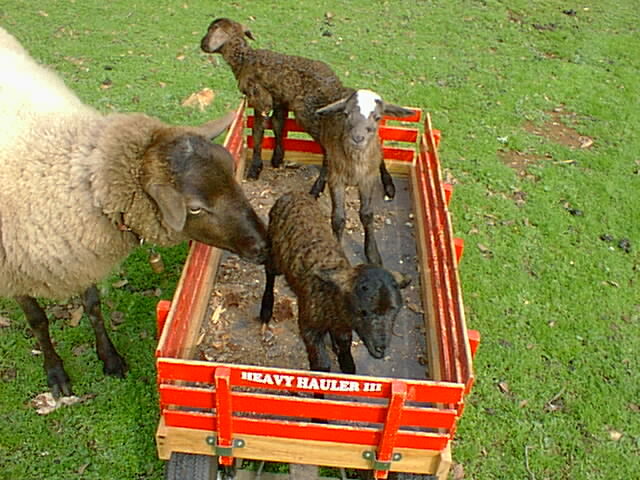 Sheep have no problem pushing and shoving for food. 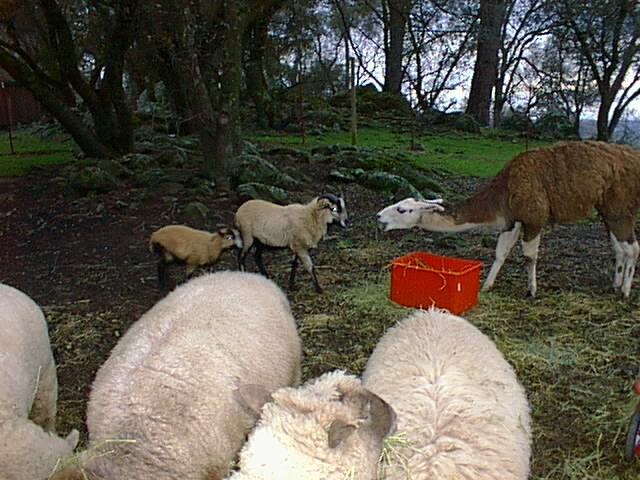 Sometimes when the sheep are getting Harry's food I send Pepper down and she will chase off the sheep so Harry can eat in peace. After awhile Hook & Tink II go for some food I tossed on the ground rather than face off with Harry. 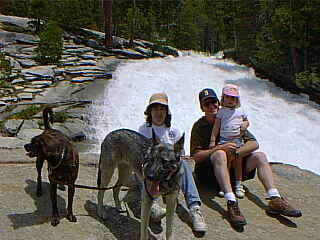 These are some older shots from 2000.